WelcomeAdoptable dogsSo Glad!About UsHelp Us! About our colors: SOMAD adopted the colors of Mardi Gras. Rex, the King of Carnival, selected this scheme in 1892, declaring purple for justice, green for faith and gold for power. We believe all organizations should operate with these three things in mind. We seek to achieve justice for the animals, we put our faith to believe we are doing what we are are here on Earth to do and will use our power to improve the life of each animal and person we help. Charlene was born in New Orleans LA and currently lives in Chattanooga, TN and Atlanta, GA. She has been involved in dog rescued her entire life. Through the years she has volunteered with numerous rescue organizations including Best Friends and Mutt Shack in the aftermath of Katrina. As well, she has always done independent work. She has a soft spot for senior and special needs furkids and is privileged to share her home and life with a few. Being a part of S.O.M.A.D is the realization of a life long dream. She hopes you will join us in making a difference one little dog at a time! 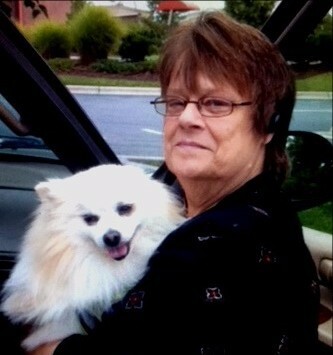 Mary grew up in the Greensboro, NC area and began "rescuing" animals when she was a little girl. Mary spent a lot of her adult life in Houston, New Orleans, Atlanta, and Boston and has settled back in her NC hometown. While living in each of these cities, she was involved in some way in animal rescue and welfare. Over the past 15 plus years, Mary has served several rescues in different capacities - board member, volunteer transport driver, transport coordinator, and advocate for best practices for safe transport of rescued animals. Mary is actively involved with OTRA - a volunteer organization dedicated to safe animal transports; she serves in multiple volunteer capacities within that organization. Mary is very excited to be one of the team to help Save One Make A Difference and is proud to serve as S.O.M.A.D's Vice President, Secretary, and Transport Coordinator. She is presently owned by two canines - Lillie, a Sheltie, Connor, an Australian Shepherd, and a tabby feline - Sherwood. They do their best to keep her in line! Waiting at the bridge for her is are are: Rusty the Shep, Sam the Dal, LassieGirl the Collie, BittyBoy and Hidey kitties. 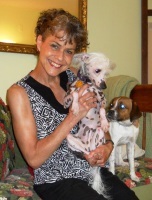 Linda resides in California, MD with her pack of petite pooches. Rescue work began in childhood for Linda as she eagerly snatched to safety every turtle, frog, bug and tadpole that crossed her path. While living in Northern VA in the 1990's, Linda work diligently fostering cats and was a founding member of the Feline Foundation of Greater Washington. Years later, moving to Southern Maryland with her clowder of cats, Linda jumped into dog rescue work. Today she enjoys fostering and placing small dogs into wonderful homes. 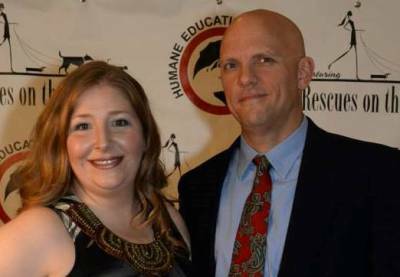 Donna and James live in Rossville, GA and are active in many aspects of rescue. 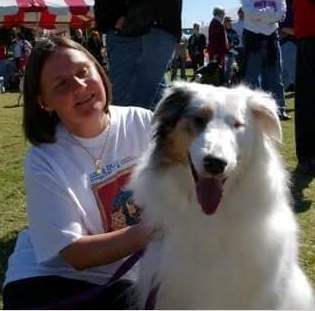 They volunteer for their local Humane Educational Society, with Georgia Canines for Independence, SARDOG (Search and Rescue Dog), and foster for several different rescue groups. Their greatest interest is in rehabilitation of scared and fearful-reactive dogs. Donna serves a Director of Finance for SOMAD and has an MBA from the University of Tennessee, Chattanooga. She also works full time! James serves as an advisor on SOMAD Board of Directors and works at Volkswagen.